America’s favorite fruits are apples and bananas, with antioxidant power of about 60 units and 40 units, respectively. Mangos, the preferred fruit around the world outside of the United States, have even more antioxidant punch at around 110 units, but none of these fruits is a match for berries. Strawberries weigh in at about 310 units per cup, cranberries at 330, raspberries at 350, blueberries at 380 (though wild blueberries may have twice as much), and blackberries at a whopping 650 units. In my Daily Dozen, I recommend a daily serving of berries, among the most antioxidant-packed food category, in addition to three servings a day of other fruits. 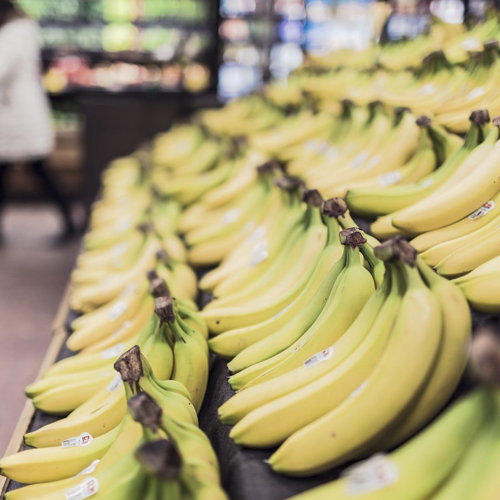 Bananas are delicious, easy to eat, and readily available, but when reaching for a piece of fruit, mix it up and choose one you don’t normally eat. Indeed, many fruits have greater antioxidant power than bananas. Bananas are great, though, blended frozen as a replacement for ice cream or as a substitute for oil in baking.